It is NOT a Membership and there is NO charge! 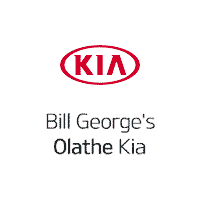 The thought behind our VIP Pricing is to make sure the customer sees a great price on our inventory upfront, and to inform the customer of what we think VIP means here at Bill George's Olathe Kia! All of our customers are important to us from new owners to service customers to those of you who have returned for your 3rd or 4th vehicle from us! We understand that purchasing a vehicle is one of the largest financial purchase you will make, so we are here to LISTEN to you and guide you towards the perfect fit for your needs! Whether you purchase a vehicle from us or have one serviced here or both, we consider you part of our family and will be here for you even after you leave! Just like you do research to learn more about a product, our sales team is doing the same! A Certified Sales Staff is here to help guide you through the process, even after the sale! Almost all shoppers go online first to search for what they want becasue they want the best price! So we are giving our shoppers a VIP Price… BUT you never know wheat ‘Magic’ will happen when you visit us!